With a summer full of sport right around the corner, we have compiled a list of the top ten best televisions to get you in the mood. Even if you’re on a budget or willing to splash the cash, we are sure there is something on this list to suit your sport viewing needs. For the relatively cheap price tag, it is difficult to complain and this TV proves itself ideal for anyone who would be watching the action on their own, perhaps in their bedroom. This could even be a great first TV if you wanted to treat a family member to a swanky new TV. Pros: This TV is HD ready which will allow you to watch the matches in stunning HD – the only way to truly experience all the excitement. Also, it is a Smart TV with built in WiFi and a range of pre-installed apps so you can enjoy TV through Netflix or on BBC iPlayer. If you miss a match, you can just watch it via BBC iPlayer easily with their catch-up video which will be available every morning. Cons: The 24” screen will not cut it for larger viewing parties. If you’re having your mates round to enjoy the football then this small screen will not be ideal to crowd around. Furthermore, whilst 720p HD is good, 1080p is much better and this TV lacks on that side of things. Find out more about this TV from Currys. Overall, it is a decent TV for a pretty decent price. If you are looking for a simple TV, which will be more than suitable, then this will be the one for you. However, we think there are a lot better options out there for both picture quality and size. 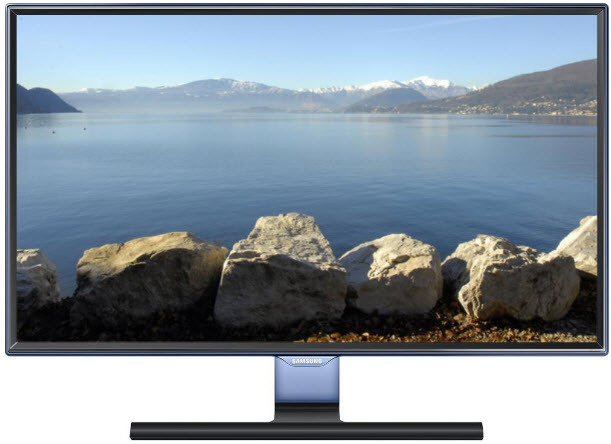 Pros: The 32” screen is HD ready and supported by a HyperReal engine to produce a high quality, natural-looking picture. This will be great to watch the sport as you will have a crisp image which is exactly what you need. It is also a Smart TV meaning it is pre-loaded with catch-up TV services to make it easier for you to watch the matches you may have missed. Cons: The inbuilt Freeview is not HD so whilst your TV is HD ready, you will not have access to the channels which would allow you to see the HD in all of its glory. Also, the smaller size screen of 32” may not be suitable for those of you who are inviting people over to watch the fun with you. Whilst the HD quality and the size are brilliant, the lack of HDMI ports and the price lets this TV down. 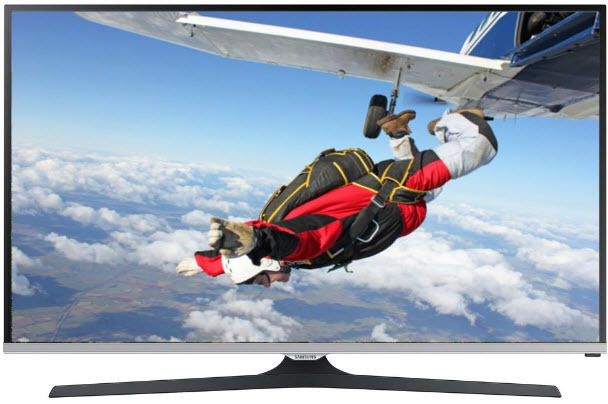 With a price tag that large, you would expect to be covered more on connectivity; this TV is ideal for the action but for the longer term, it may prove troublesome. Pros: With a 50” screen, this TV will definitely be large enough to watch the games on with company. Also, the Freeview HD will allow you to watch in beautiful high definition which is the only way to really do it these days. LG’s IPS screen panel also creates a perfect balance of colour, clarity and contrast which means that you will have a beautiful picture no matter where you are sitting. This TV seems great for a larger viewing crowd, perhaps if you’re holding a party. Cons: Whilst the screen size is large, the lack of HDMI ports slips this TV down our list. With only one port, you can only link up one laptop or other device at a time which becomes a pain if you want a DVD player, a sky box, a gaming device or a laptop linked up without having to unplug. The 1080p HD ready screen and the Sports Mode make this TV a strong contender for the best picture you could get for watching. However, its small 24” screen will not cut it for larger viewing parties or for you to really enjoy the immersive experience of the games over the summer. Pros: This is the great starter TV for a very reasonable price with a lot of features which would be beneficial for viewing pleasure. 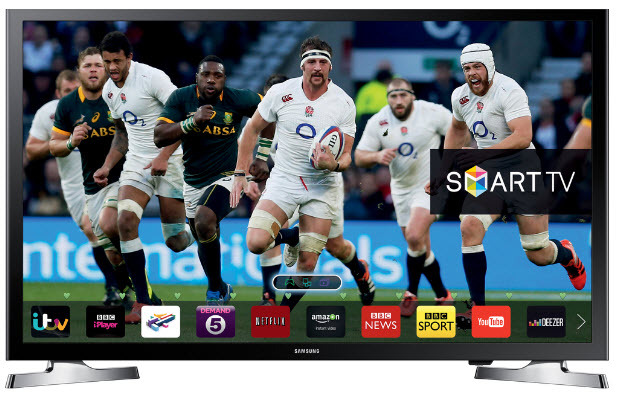 With Freeview HD, and the screen being 1080p HD ready, you can be sure that you will be watching the action on a crisp screen. Not only this, but the TV has an inbuilt Sports Mode to enhance your viewing experience of the game. Cons: Unfortunately, the screen size lets this TV down. If you’re having friends over to watch the games, the 24” screen just might not hack it no matter how good the picture quality is. Once again, this TV is let down by its size. Whilst the 32” is bigger than the 24” rivals, it is still not big enough for a truly immersive experience. Maybe for smaller living rooms, or other rooms, this TV could be perfect but the larger screen size options will be better if you really want to watch the games the best way. Pros: Once again, the 1080p HD viewing will make for a great picture. Also, the built in Freeview HD will ensure you can watch the relevant HD channels to ensure the best picture quality. The wide angle viewing gives optimal viewing no matter where you’re sitting which makes it ideal for watching with your mates as everyone will have a good picture from the TV. The Sports Mode also allows you to watch the games in amazing quality which is always a good thing. Cons: The 32” screen is the only thing that lets this TV down. Compared to its bigger rivals, this screen just might not cut it with a larger viewing crowd. This TV has a great picture quality and an even better size making it perfect for watching this summer. However, you’ll need a larger budget and you’d have to be willing to put up with not a great sound quality. Pros: This TV packs a punch which is a good thing considering the price tag. 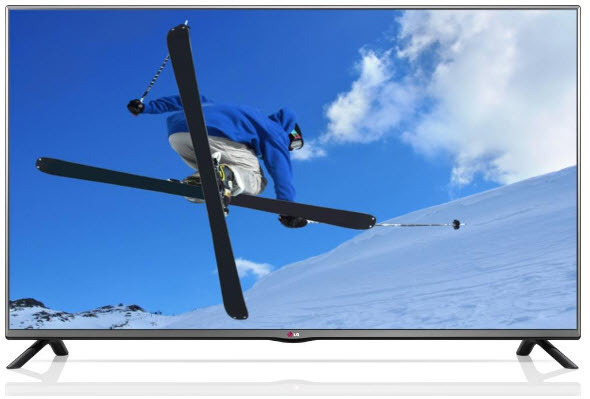 It has a lovely picture quality and also has access to catch-up TV services thanks to LG’s Smart TV platform. If you miss the action, you can catch-up with BBC iPlayer without hassle. The TV is also pre-loaded with on demand subscription services such as Netflix, Amazon Prime & NOW TV which makes it a great TV even after the summer is over. Cons: If you’re willing to splurge for the best TV then this is ideal but the price tag can be off-putting. Also, whilst it boasts a Multi-Channel Speaker System, the customer reviews seem to mark the sound quality down which can be an important aspect if you want a fully immersive experience. 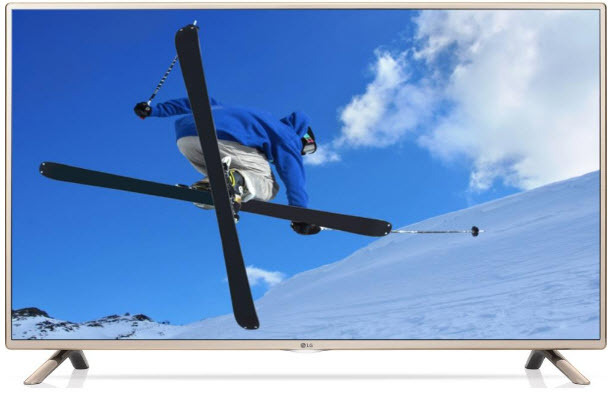 This TV has a great quality picture due to its 4k Ultra HD resolution and also has good sound due to its Ultra Surround sound which makes it the perfect TV for watching the games. 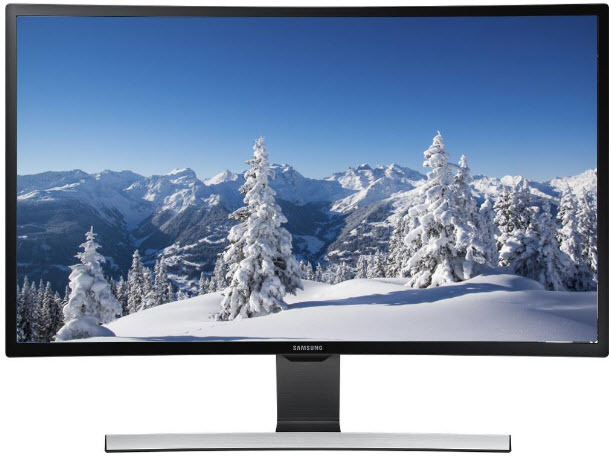 You would feel immersed with the decent sized screen, great picture and good sound. However, as a TV for life with its price tag, it is brought down by its lack of HDMI ports to wire up external devices. Pros: As you can imagine, this TV delivers a stunning picture due to its 4k Ultra HD resolution. This means that you can watch the games in the best picture quality and on a decently sized screen of 43”. Also, the IPS technology means that everyone will have a great view of the TV, no matter where they are sitting, which is important if you will be having mates over to watch; nobody wants the rubbish seat not being able to see. This TV also has Ultra Surround which gives the immersive experience of surround sound – perfect for making you feel like you are actually there. Plus, the TV has a Sport & Game mode for the best picture quality. Cons: The main downfalls of this TV are the large price tag and the lack of HDMI ports. When you read the customer reviews, its only HDMI port seems to be in an awkward position which makes it even more annoying. Like previously, the TV (for this price) needs to be suitable long term as well as providing a great viewing for the summer. Having only one HDMI port can be very problematic for a lot of people. 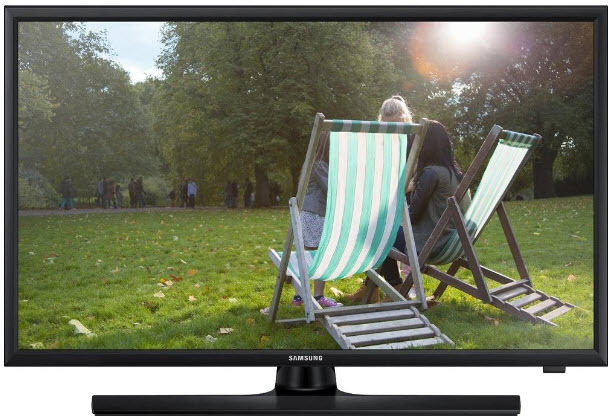 For a great TV on a budget, this Samsung one is the perfect fit. 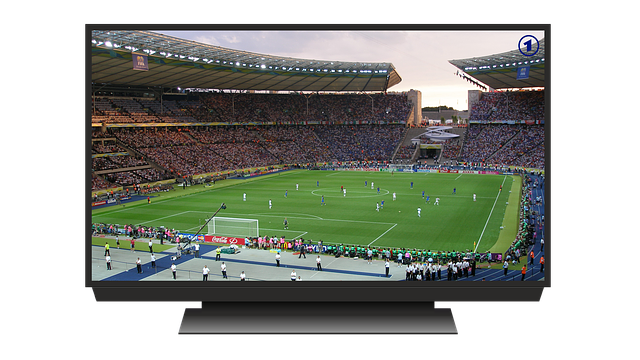 With a great quality picture allowing you to watch the game in full HD definition, you can be sure you will experience the Euros the best way. It is simply let down by the size of its screen if you were looking for a large TV. Pros: This TV offers a bright full HD display which produces crisp, clean images which will make the football match look wonderful to watch. Furthermore, the Wide Colour Enhancer Plus technology makes the picture quality even better as it renders colours to their truest possible form. 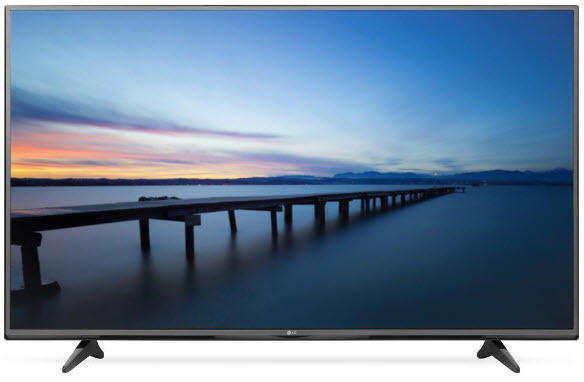 It is also excellent value coming in under £200 for such a great picture and decent sized TV. Cons: The only con of this TV would be the size. Whilst a 32” screen is a good sized TV, for larger viewing crowds it may be just a little bit too small for the perfect immersive experience. 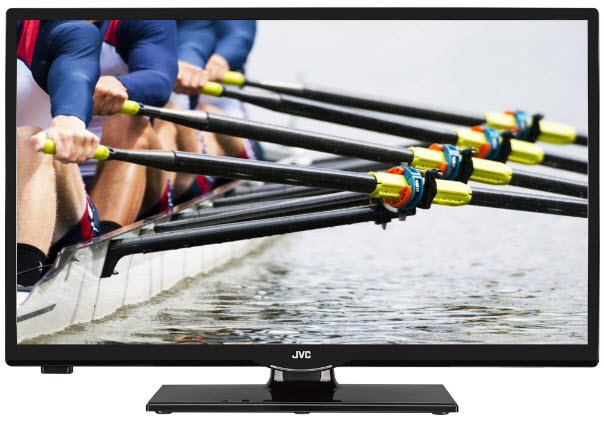 This TV would be ideal for a bedroom or kitchen to watch the action in other smaller rooms. A curved screen is what ramps the price up of this TV but it does create a more immersive experience for the viewer and the picture quality is very good alongside the thin screen. Pros: The curved screen offers a truly immersive viewing experience alongside the 1080p HD screen. You can be sure that your picture quality will be the best that it can be. Also, this TV has an in-built Sports Mode which will make your experience just that little bit better. Also, its curved screen allows everyone to be able to see the screen as the viewing is natural from wherever you are seated. Cons: The screen size is small, coming in at only 27”. This could be quite problematic if you wanted to watch the football with company as you would all be crowded around the small screen. It is also a lot more costly than other TVs of similar sizes, we guess due to its curved screen. This TV is great on all of the important aspects of what makes a good TV. It has a brilliant picture, good sound which you can adjust for your needs and it is great value for money. Not to mention, the 40” screen is certainly suitable for a larger audience so you can enjoy the action with company. Pros: A large screen and a 1080p Full HD picture, this TV will make watching sports feel like a dream. The Wide Colour Enhancer Plus technology makes the picture quality considerably enhanced as you view the colours in their truest forms. Also, the two speakers deliver high-grade sound which will create the perfect immersive experience for your viewing. It also is great value for money as it comes in under £300. Cons: Glancing at the customer reviews, there does not seem to be many cons for this amazing TV. The sound quality can sometimes be a bit mushy but there are many sound settings which you can play with to find the perfect one for you. The screen size is a good size but perhaps for a truly perfect experience, you’d want a little bit bigger. Complete Savings is an online savings reward programme ideal for those who shop online regularly. As a member you can claim on-going rewards as well as discounted gift cards and 10% cashback at over 650 online stores including sites such as Currys.